At the end of the CJLS deliberations, four members of the Committee resigned: Rabbi Joel Roth, Rabbi Mayer Rabinowitz, Rabbi Joseph Prouser and Rabbi Leonard Levy. They expressed the view that the permissive teshuvah accepted by the Committee went beyond the bounds of halakhic process. The CJLS members have asked them to reconsider. I think this is really a shame. I disagree wholeheartedly with these four rabbis that the permissive teshuvah went beyond the bounds of the process to decide Jewish Law, however, these are also four very talented and thoughtful poskim in the Conservative Movement. Rabbis Roth, Rabinowitz and Levy were my teachers in rabbinical school (Rabbi Prouser's wife Ora Horn Prouser was my teacher too). I certainly hope they re-consider (especially Rabbi Roth and Rabbi Rabinowitz who have served on the Law Committee with distinction for so many years). At the conclusion of deliberations, three papers were approved. The teshuvot of Rabbi Joel Roth and of Rabbi Elliot Dorff, Rabbi Daniel Nevins and Rabbi Avram Reisner each received 14 votes. 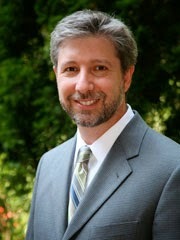 A third teshuvah by Rabbi Leonard Levy received six votes. The other papers were voted takkanot and failed, each receiving seven votes. These will be included in our papers as either concurring documents of papers to study.